Possible topics and typical answers might be: The recent elections? Yes. The economy? Check. Family concerns? Without a doubt. Nudibranchs? **Sigh** Yes, it’s true. Nudibranchs have been on my mind lately. How about you? You mean you can honestly tell me that a nudibranch (pronounced NOO-di-brangk — it doesn’t rhyme with ranch, it rhymes with tank) has not crossed your mind in recent weeks? Hmmm. Well I guess this is yet another area where I’m all by myself, because I have been thinking about nudibranchs lately. And I’m completely serious. The summer of 2008 was memorable in my life for many different reasons, not the least of which is that I first learned about nudibranchs. I had never even heard the word, and now I want to talk to you about them. 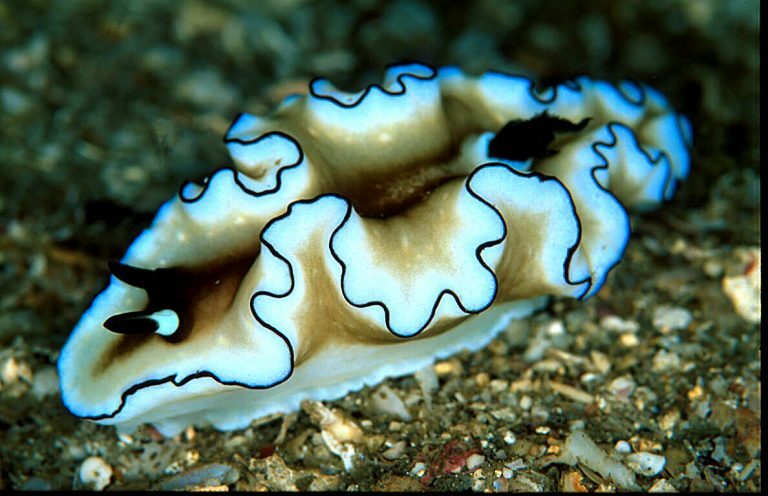 Nudibranchs are sea slugs, basically, and there are more than 3000 described species of them. Can you imagine! I’m sharing just six photos with you here, and as you look at these amazing creatures, keep in mind there are thousands of others just as colorful and interesting. If you want to know more scientific data about nudibranchs, there are many places on the web for you to peruse, so I won’t make this a science lesson about a creature I’ve only just been introduced to. But if you know anything about me, you probably know where I’m going with all of this. Nudibranchs make me think about God. 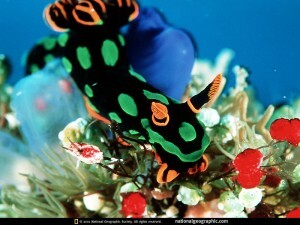 When I first saw the brilliant colors and the whimsical design of these sea animals I thought, “What was God thinking? Why did He make so many beautiful variations of little sea slugs? What were His purposes in giving them such amazing detail and color and individuality?” (I guess we could ask the same questions about His human creation too). Look at this lovely fellow. Think about how he and thousands of his colorful cousins went unseen by human eyes for thousands of years. For centuries no one was able to go to the depths of the seas to oooh and aaah over the brilliance and uniqueness of these seemingly inconsequential mollusks. 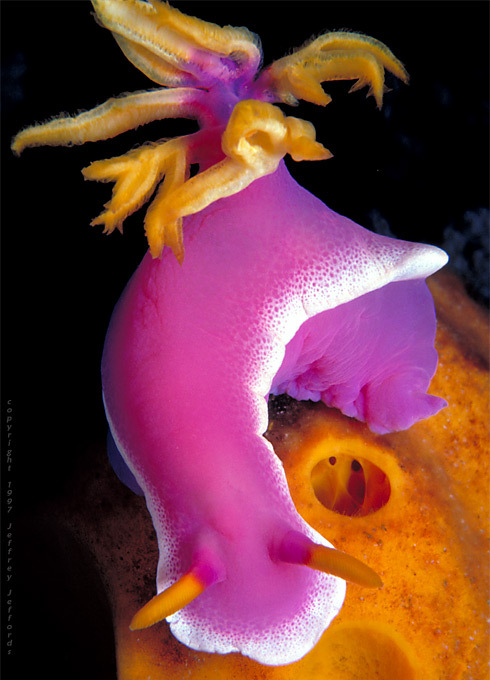 And even now there are probably more undiscovered kinds of nudibranchs on the vast ocean floor, slowly doing their thing and living their simple quiet lives for an audience of One. Will you check out the ruffles on this nudibranch? They remind me of my 1975 prom date and the shirt he wore with his tuxedo. I don’t know if it occurs to you, but I want to know why God thought the world needed so many variations of these slugs. Did the Creator know that a dressmaker would see this photo one day and smile? Did He do this so we would marvel and stop what we’re doing and give more than a passing thought to Him and His inscrutable ways? These two look like they’ve donned their flamenco outfits and are ready to circle around each other and stare one another down, as soon as the music starts and the castanets start clicking. Most likely they have their carnivorous little hearts set on dinner, though, and are slowly and determinedly undulating their way toward other delectable nudibranchs, or perhaps they’ve gotten a whiff of an unsuspecting and waving sea anemone in the distance. And what can possibly be said about this purple and orange specimen? Does she have any idea how stunning she is? Or does she have self-esteem issues because she worries that her noses are too long, her hair is too straight and hard to manage, her legs too short and stocky? 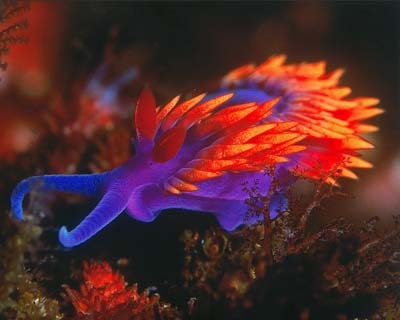 I’m not even sure why I keep thinking about nudibranchs – I think I’m pondering the attributes of a God that would deposit so much beauty and quirkiness into small creatures that most will never see. Why would He do that? Do you have any ideas? I’m totally serious. If there are no wrong answers, why do you think He didn’t stop at ten kinds of nudibranchs, or a hundred different varieties? Why did He make thousands? And why was it important to Him to color and design them in the ways He did? I wonder what can be learned about God through this simple little creature. Keep posting these gorgeous pictures!! 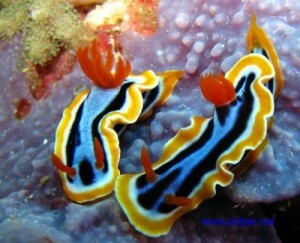 I found your blog by looking for nudibranchs photos. I just finished reading this post and was amazed by what I read! You described everything that I feel and think about this creatures. You are an amazing writer!! Congrats!!! I ran across this showing my roommate just how beautiful these little creatures are. I used to manage a reefstore and I am touched by this story. It the midmorning lulls of foot traffic of my store I would stop at my nidibranchs tanks and ponder the amazing creator. Hello Jonathan – welcome to you! Thank you for leaving a comment. 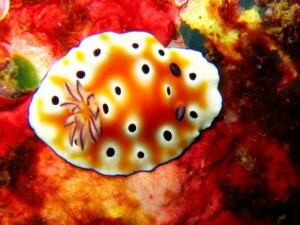 I love the beauty and uniqueness of nudibranchs too – they’re amazing little creatures. God bless you!